Thank you for requesting updates about air quality in London. 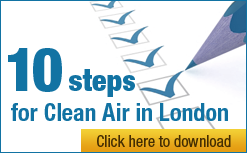 The email will be from Clean Air in London and the subject will be “Confirm your subscription to updates from Clean Air in London”. The Birkett Index App is currently available for Android and iPhone/iPad and can be downloaded from the appropriate store.